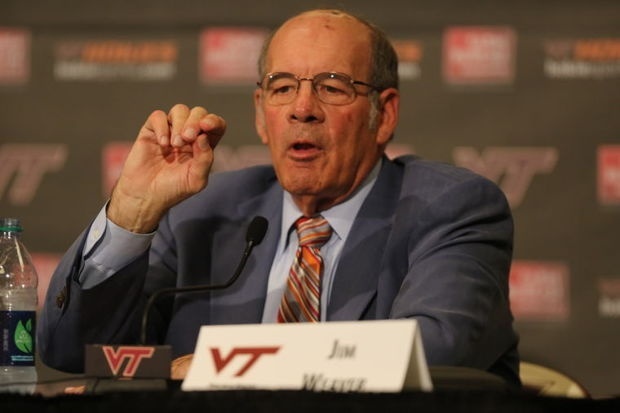 (from VT News) Jim Weaver, whose vision and leadership as the director of athletics catapulted Virginia Tech in the Big East Conference and later the Atlantic Coast Conference, passed away at his Blacksburg home Wednesday night at the age of 70. 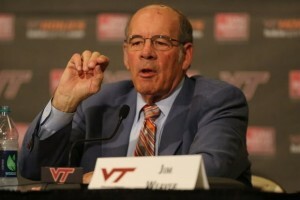 Weaver served as the director of athletics at Virginia Tech for more than 16 years from 1997-2013 before announcing in November of 2013 that he was retiring at the end of the calendar year because of health reasons. In 2004, Weaver had been diagnosed with Parkinson’s disease. His decision to retire ended a career as an athletics administrator that spanned more than three decades. “Jim Weaver made a tremendous impact upon our institution, and we are deeply saddened to hear of his passing,” Virginia Tech President Timothy D. Sands said. “He was dedicated to making our athletics enterprise among the best in the country, while always being true to the principles and values of this university. We will always be inspired by his legacy.” Weaver’s biggest impact at Virginia Tech came in his emphasis on facilities. The department committed nearly $200 million toward facilities during his time as the athletics director. His ability to get the department on solid financial footing, his emphasis on facilities and his strong oversight in the areas of NCAA compliance set the groundwork for the school’s invitation into the ACC for all sports starting in 2004.